Most of us applied job before. 7 years ago when I started to work, I recalled for some job applications, I needed to go through snail post that required me to print out my resume, attach my photo and paste the stamps onto the envelop using saliva and send it over to the company. Nowadays, everything is done online, be it online application via JobStreet.com and other similar online agency, or your head hunter would ask you to send the latest resume via email. 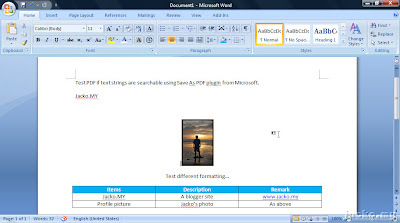 I always skeptical to send my resume in editable format such as Microsoft Word document format (*.doc) to head hunter whom I have not known well. And many of us do not have Adobe Acrobat. 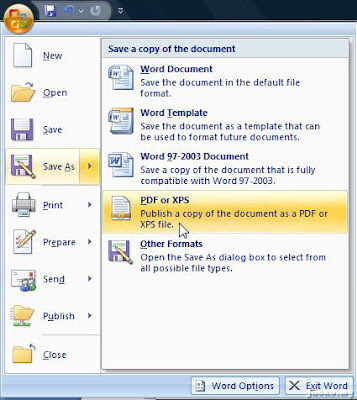 In such case, I used to install some free software to print the Word document as PDF. Google PDF Tool and you can find dozens. 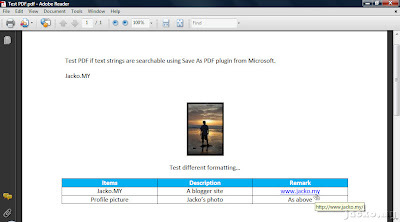 One of the disadvantages of some of these tools is it converts the entire Word document into an embedded image in PDF, and hence the text in the generated PDF is not selectable or copy and the hyperlink is not clickable. Also, sometimes the generated PDF has all the formatting and layout gone hay wire. Since I've upgraded the operating system to Vista and Office 2007, the old PDF creator that I have is no longer working on my Wind. And I knew Office 2007 comes with a feature to save the any office files i.e. 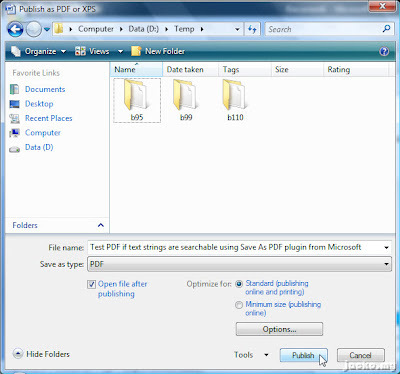 Excel, PowerPoint to PDF directly. Searching in the program did not find that feature, apparently it's an add-in that I need to install separately. Cool! I did not try on other Office programs like Excel but I believe it works flawlessly for the basics just like above.